Today Aideen is going to give us a little insight into her Project Life process. 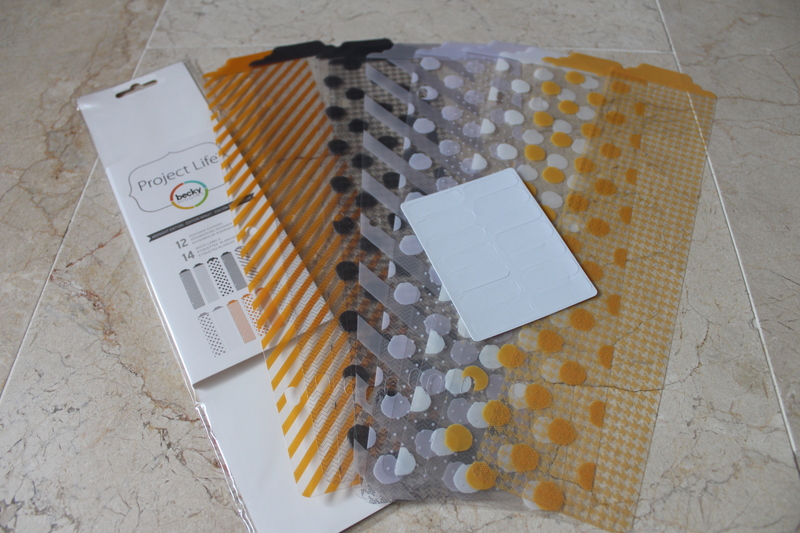 Ok so the idea of project life is a very easy way of scrapping your memories without needing many supplies or even without being an experienced crafter-it is definitely suitable for all skill levels and all ages and would be a great way for anyone to preserve their memories. 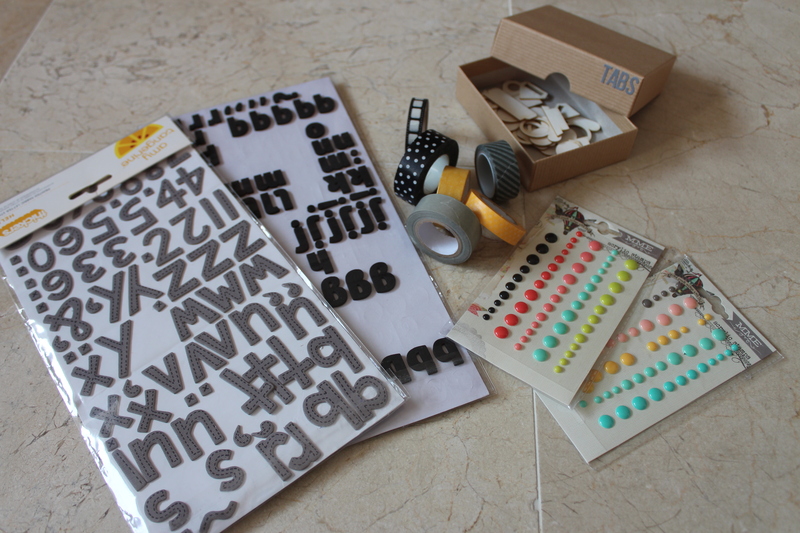 For me 12×12 scrapbooking has never really been my thing but with this Project life method I am finding it so easy and the results are really nice. 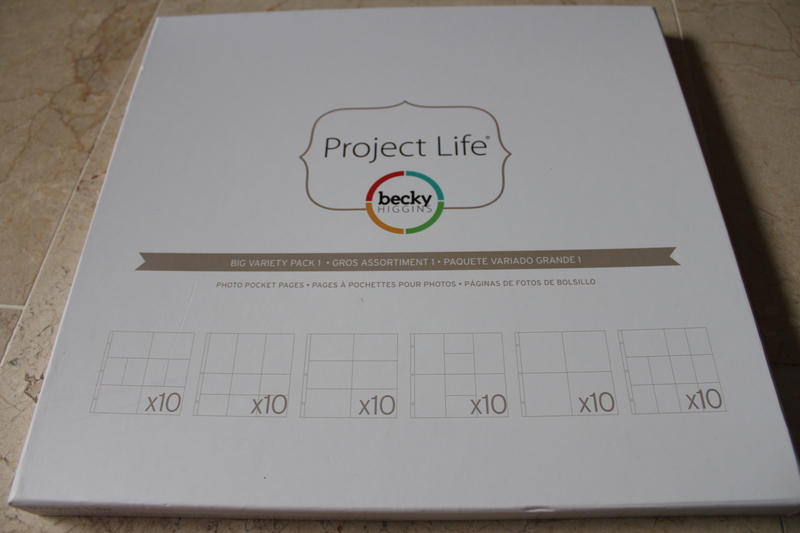 What do you need to Project life? 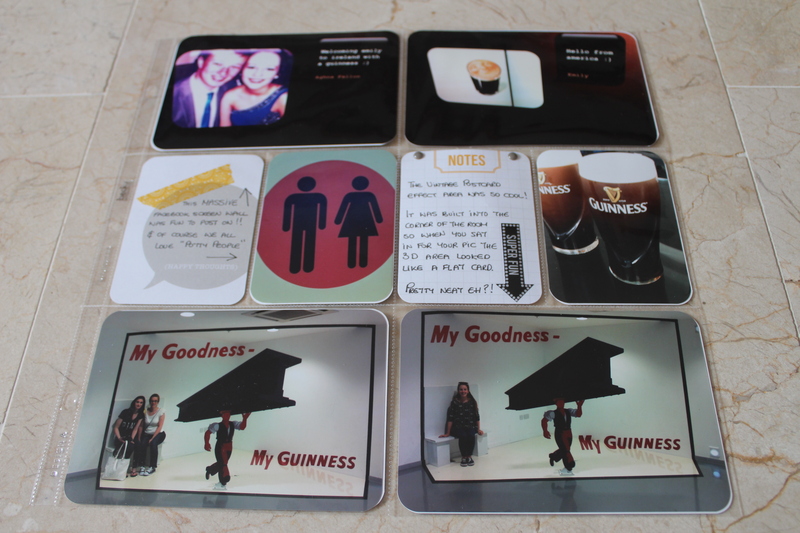 Ok well you need an album, pocketed page protectors, patterned papers, a pen and your photos! That’s it but if you want to get more detailed with it or if you are already a crafter and have lots of embellies this is your chance to use them –keep in mind embellies need to be pretty flat to fit in you pocketed pages-the ones I like to use are washi tape, sequins, stickers, veneers, chip pieces, enamel dots, sequins…..
For this project I wanted to scrap a very special time from this summer-my friend Emily came to visit me all the way from New Hampshire, USA. I met Emily online about 3 years ago thru a mutual love of crafting and we are besties ever since! So this was our first time meeting and also Emilys first time in Ireland so lots of memories I want to remember. So for my album I decided to go all out and get all the Becky Higgins branded products from the lovely cardznscrapz.com and I have to give everything a 10/10 as the quality and styles are just gorgeous! 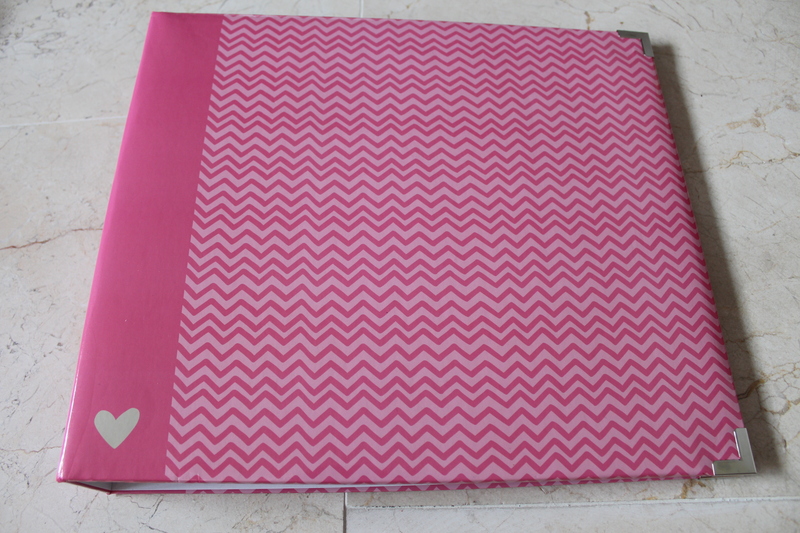 I picked out this 12×12 album for my book-it is from the blush collection and I just thought it was sweet. Next you need page protectors-you can choose from a wide variety over on cardznscrapz but I went for the big variety pack which has 60 pages 10 of each of 6 designs in the pack. 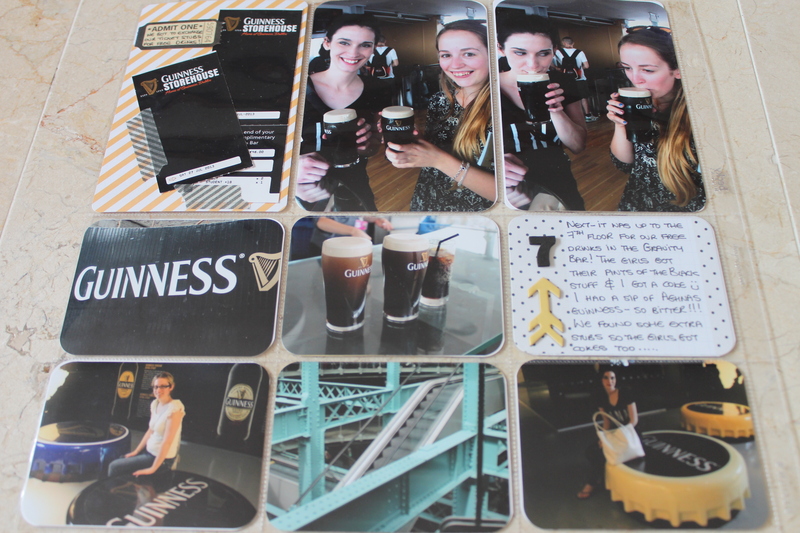 For the pages I am showing today-the photos are from our visit to the Guinness storehouse where we went straight to from collecting Emily at the airport-I had to go for the midnight collection with its black, white, grey, cream and yellow colours it is perfect for Guinness!! So inside these MASSIVE core kits you get over 600 cards-tons of 3×4 cards, 6×4 title cards and foldable 6×4 journalling cards. *TIP* there is more than enough in the core kits if you wanted to get one with your friends-they easily divide into 3. I also decided to buy the 6×4 matching textured cardstock pages too just because I like to have all the supplis and I figure they will come in handy for memorabilia like tickets etc. 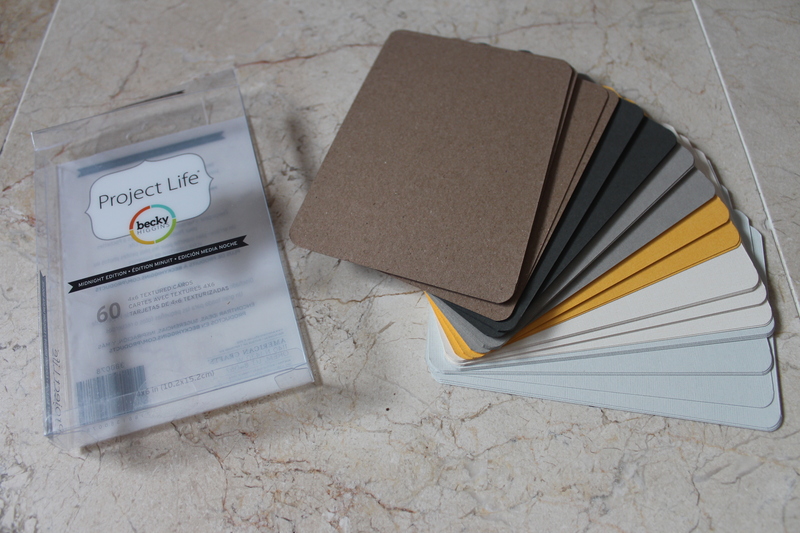 in each pack you get 10 by 6 co-ordinating coloured and textured cards again of high quality! 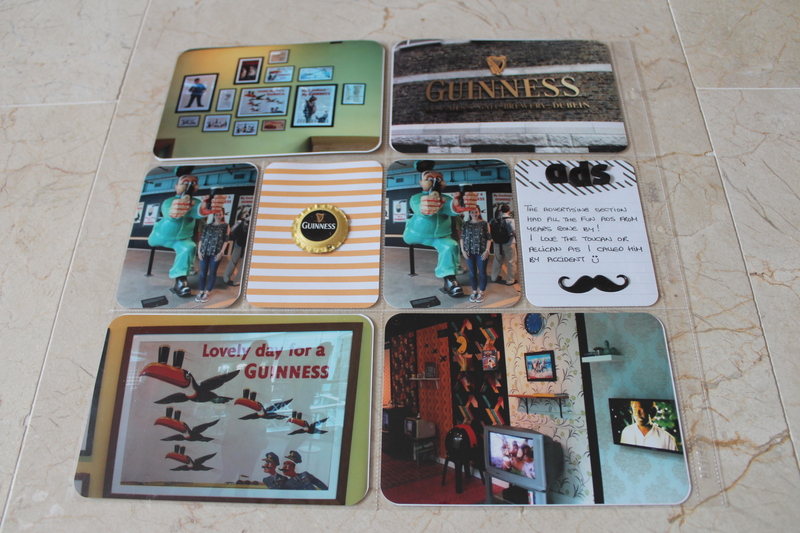 Also available are these dividers so of course…I couldn’t say no! But these are extras and not necessities if you are better at controlling your budget than I-in each pack you get 12 dividers and 14 labels. Now..here is where the fun begins! 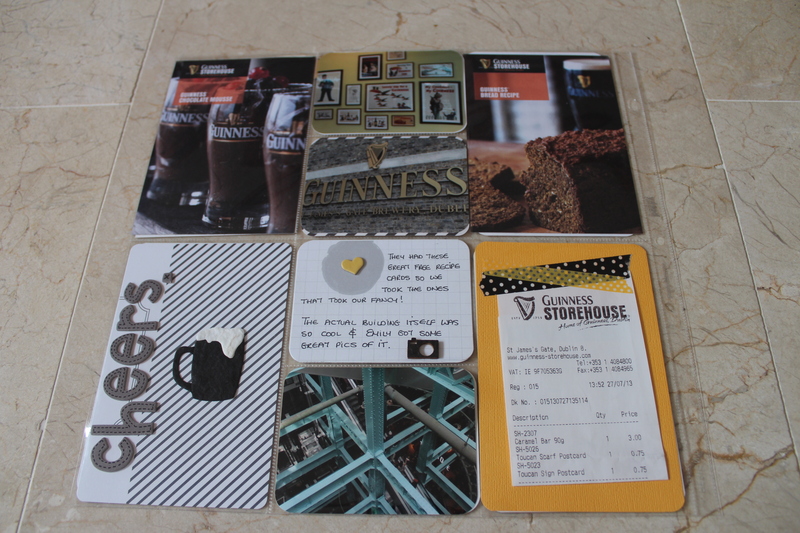 My process for these pages was to gather all my pics and extra goodies from our day at the storehouse. 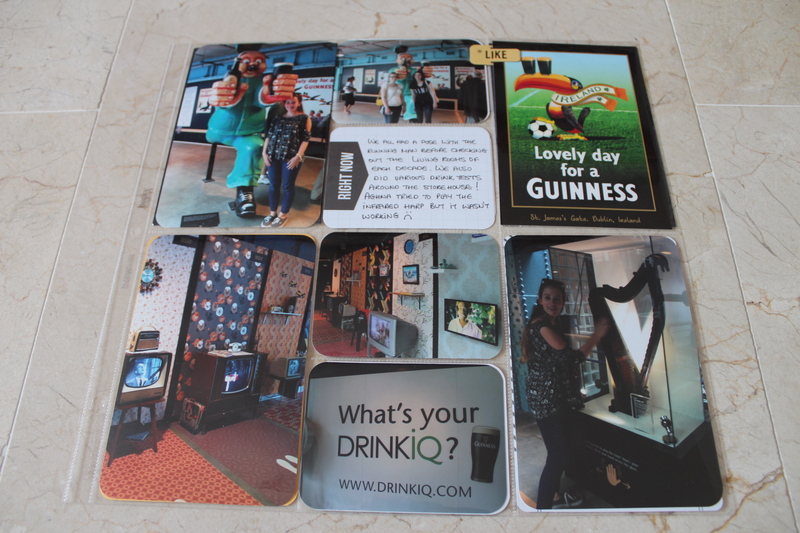 Next I figured out which page protector would work best and after rounding all my photo corners (I just like them like that) I popped the photos in, picked some cards from my core kit and that’s it-so simple. You can totally leave your pages simple like this and they look awesome-add your journaling and you are done. But seen as I have lots of yummy crafting goodies that have been building up this summer (hard to get crafting time) I had to bring my cards a step further-simply adding washi, thickers, enamel dots, chips, stickers and using date stamp by Amy Tangerine transforms these cards and I have to say I love how they turned out. Date stamps are not a necessity either but are a great little tool to have-again I got my one from cardznscrapz. 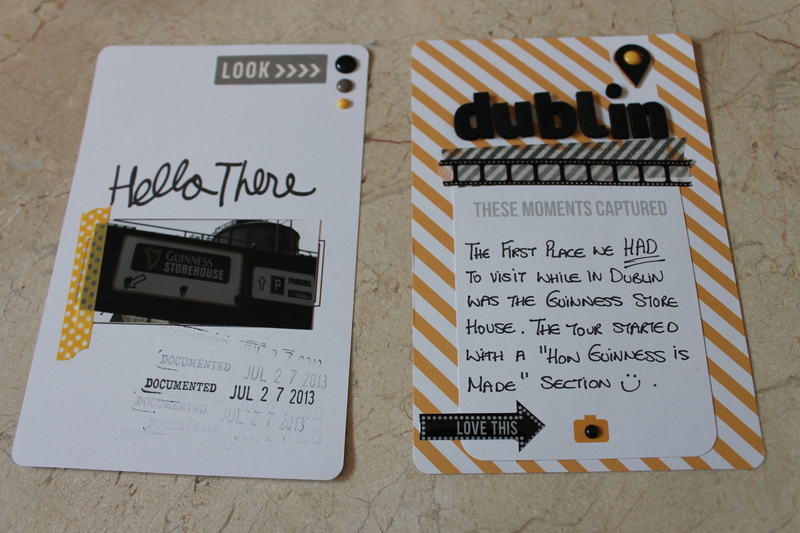 On the following page you can see I was able to add tickets and journaling again-I must say too that most of these amazing photos were taken by Emily-she was the official photographer for the week! More pages-the patterns on all the 3×4 cards are so nice and ALL are double sided-it’s such an easy way to match up your pages too because everything is perfectly co-ordinated. To add this Guinness bottle cap I used a little pliers to flatten out the cap and attached it with foam dots making sure it wasn’t too bulky for the pocket. The little metal ‘like’ paperclip is from my smash*book stash but is nice and flat so fitted in perfectly and the colour was just right so I popped it onto this postcard I bought at the store! My final page then has recipe cards we picked up at the store, photos, a receipt and again more journaling! 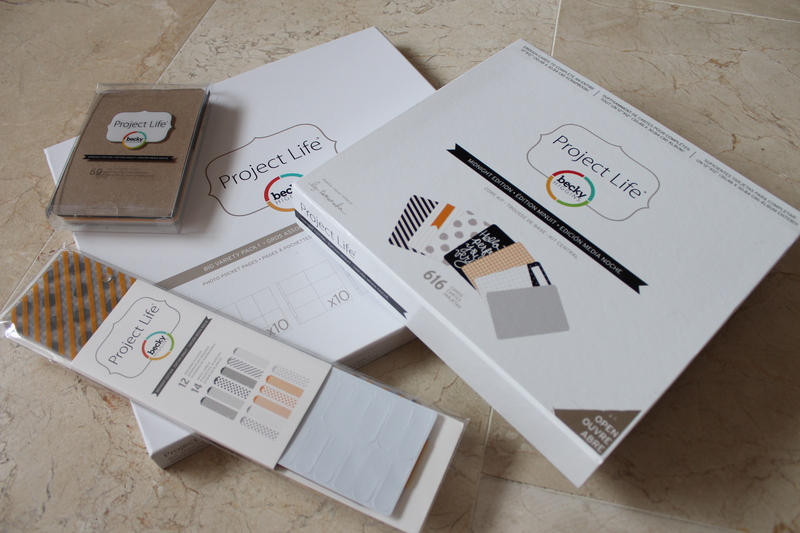 I love Project Life – great introduction Aideen! 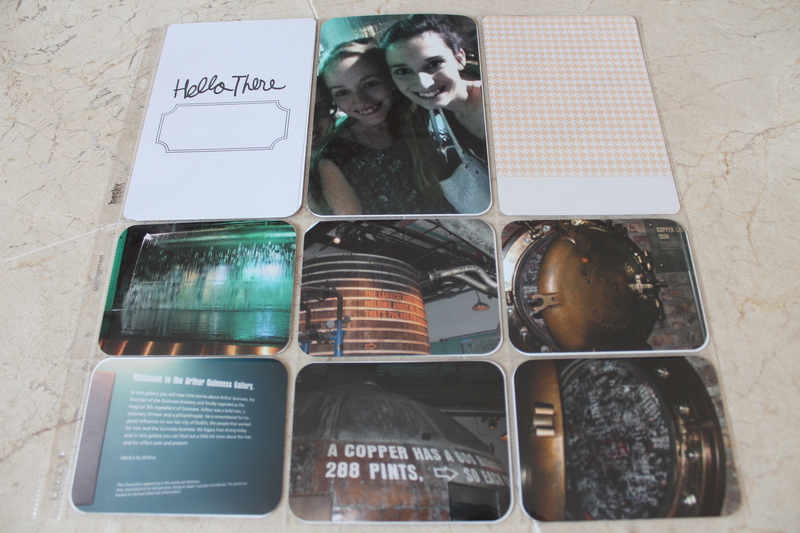 And I saw this album in real life at the weekend – it’s stunning and such a fab way of recording memories! Excellent and so inspiring Aideen .. Wonderful Project Life pages, and looks like a fun day out. This is so fun, Aideen!